during the city’s festival season at its lush parks surrounding the river, while the the booming Central Business District offers plenty of arts, music, and café culture year-round. Adelaide is also the gateway to Kangaroo Island, arguably the best place to see wildlife in the wild Down Under, or allows for an easy drive up to the incredibly preserved, majestic Outback. I absolutely love Adelaide. It’s one of my favourite cities in Australia. It’s foodie heaven with fabulous coffee shops and the Central Markets are a must do. Incredible, fresh produce and such variety. Reminds me of the markets in Europe. It’s not called “Radelaide “ for nothing, it’s very arty and quirky. Love Rundle Mall. Some beautiful architecture to be seen from brick houses, to gorgeous churches and lovely arcades in the city. Walking along The Torrens is very relaxing . A trip to Hahndorf and Stirling in the hills is also very worthwhile. For me, Adelaide is WAY better for coffee and culture than Melbourne. The ideally planned city of Adelaide is laid out in a grid design and surrounded by green space. The north of the city has pretty boulevards of jacaranda trees, which become a mass of purple flowers in springtime. Chinatown is a cheap place to eat in the city, and Rundle Mall the classic place to shop. There’s plenty to do in Adelaide, given its outstanding museums, historic gaol, zoo, botanical gardens and beach suburb Glenelg. A clean, friendly, attractive and manageable city with plenty of activities for everyone! We were here at the beginning of the Christmas season in mid-November, when Adelaide is the scene of the Credit Union Christmas Pageant (Australia's largest and most elaborate Christmas parade) and the start of a holiday festival that lasts through early January. 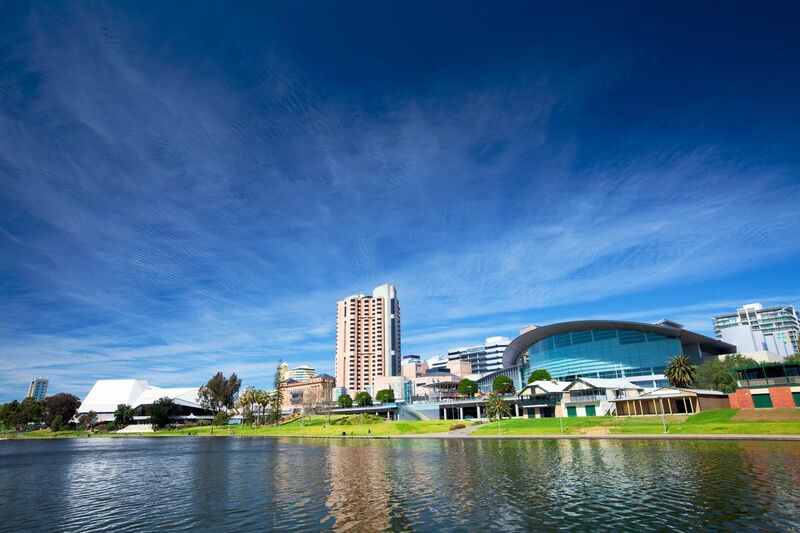 The city of Adelaide is also a good base for day trips around the area. I heard it's not worth to visit Adelaide just for a couple of days and that the beautiful thing about Adelaide is the nature around. I did visit city just for weekend therefore I didn't have time to see the nature around but I must agree there is not much to see in city. I have to admit that their museums and galleries are amazing! Unfortunately the city shot down at 5pm and at 6pm all the weird people comes out so I didn't even feel there safe after dusk. Anyway the city is small and during day you can visit several nice parks or shop in the centre. Adelaide doesn't often get much press -- even within Australia itself. The 'city of churches' is known as a quiet spot, great for raising a family or getting out into the various wildernesses that surround it. The annual Adelaide Fringe festival swells the city into an buzzing hive of artsy activity which earns the city much of its reputation, but truth be told it's a stately, enjoyable city at any time of the year, with good restaurants and bars on Melbourne St and North Terrace and lovely beaches like Semaphore just out of town. Even better, Adelaide is the perfect jumping-off point for the superb wineries of the nearby Adelaide Hills and world-famous Barossa Valley. If you are planning for adventurous and exciting trip then choose Adelaide. Here you can explore the cultural sights, refreshing and lively beached with beautiful sunset point, most fascinating infrastructure and sculptures on the roads which not to be missed. Adelaide Hills is great . Includes accommodation, attractions, cellar doors and events. It's a nice little town that not too many people know about, It has a big mall, garden and fair share of museums. The town is walking distance and there are free shuttles. Everything is cheaper here too.